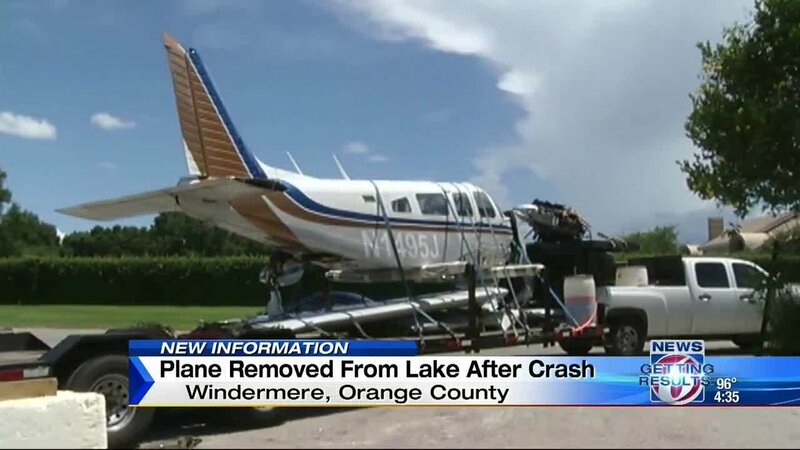 On July 8, 2016, at 1810 eastern daylight time, a Piper PA 32-300, N1495J, was substantially damaged while ditching in Lake Down, Windermere, Florida, following a total loss of engine power. The private pilot and passenger were seriously injured. Visual meteorological conditions prevailed, and no flight plan was filed for the personal flight, which was conducted under the provisions of Title 14 Code of Federal Regulations Part 91. The flight departed Executive Airport (ORL), Orlando, Florida, about 1800, and was destined for Venice Municipal Airport (VNC), Venice, Florida. According to the pilot, the accident flight was the third flight of the day. There were no issues noted with the airplane during the first two legs. The first was from ORL to Jacksonville Executive Airport at Craig (CRG), Jacksonville, Florida. The airplane was fully fueled at CRG, and he estimated that during the return flight to ORL, about 15 gallons of fuel was used from the right wingtip fuel tank. He recalled switching to the left wingtip fuel tank before departing on the accident flight. About 5 minutes after takeoff, while in cruise flight at 1,500 feet mean sea level (msl), the pilot began a climb to 4,500 feet msl. About 2 minutes later, he heard a "popping" sound from the engine. The pilot contacted the ORL air traffic control tower and stated "…I'm having engine trouble, need to return immediately." About 30 seconds later, he advised "I'm losing engine power, I may have to ditch." The pilot stated that initially the engine sustained a partial power loss, and he performed the "engine power loss in flight" checklist, but he was unable to diagnose the problem. The engine lost complete power shortly thereafter. A witness, who was located about one-half mile east of the accident site, reported hearing an aircraft fly over his house near the time of the accident. As it did, the engine initially sounded like it was "running smoothly, but at reduced power," and then stopped for about 4 or 5 seconds. The noise then resumed for several seconds, and again sounded like an engine running at reduced power, and then the noise stopped again. At no time did the engine sound like it was "sputtering or surging." 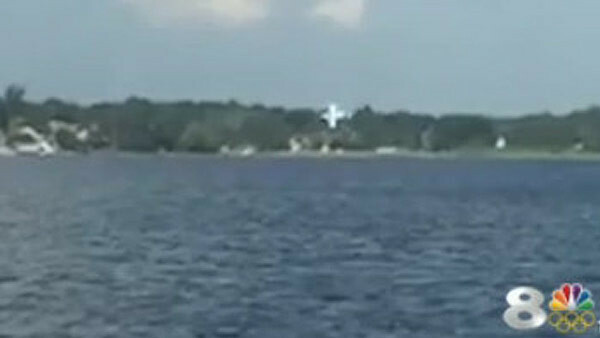 A witness captured the last few seconds of the flight on video, as the airplane ditched in the lake about 10 miles southwest of ORL. The video depicted the airplane descending into the water in a nose low, left wing down attitude. According to Federal Aviation Administration (FAA) records, the pilot's last FAA third-class medical certificate was issued on February 25, 2016, at which time he reported 275 hours of flight experience. The pilot reported a total flight experience of 350 hours; of which, 250 hours were in the same make and model as the accident airplane. The pilot had flown 20 hours and 10 hours during the 90-day and 30-day period preceding the accident, respectively. All those hours were in the same make and model as the accident airplane. Maintenance records revealed that the airplane's most recent annual inspection occurred on October 1, 2015, at which time the engine had accrued a total of 3,750 hours, with 56 hours since overhaul. The airplane flew about 39 hours since that inspection. The airplane was recovered to a secure facility where a postaccident examination was conducted by an FAA inspector and representatives from the airframe and engine manufacturers. Flight control continuity was confirmed from the cockpit controls through recovery cuts to their respective control surfaces, except for the left aileron, which was continuous through one overload fracture at the aileron input rod end at the bellcrank. The left wing was found separated from the fuselage at the root end and exhibited leading edge damage and skin separations along the entire span. The left fuel tank was breached and absent of fuel. The left tip fuel tank was separated from the wing and was not recovered. The right wing was largely undamaged and remained attached to the fuselage and was subsequently removed by recovery personnel for transport. About 25 gallons of fuel were recovered from the right main wing fuel tank. 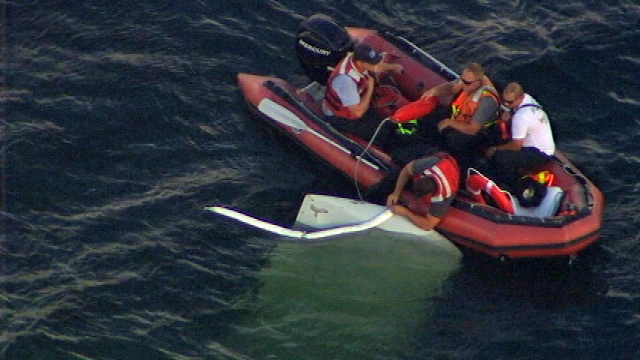 According to recovery personnel, water poured from the right tip tank quick-drain during recovery, which was found in the locked open position. The three recovered fuel caps (left main, right main, right tip) were found secure with their vent valves in place. The three corresponding fuel pickup screens were free of debris and clear of obstruction when checked with low pressure air. The fuel selector valve was out of detent, between the right main and right tip tank positions. Fuel was present in the valve input line for each fuel tank except the right tip tank line, which was empty. The engine and nose gear were partially separated from the firewall. Both propeller blades were bent slightly aft at mid span. The engine crankshaft was rotated by hand at the propeller. Crankshaft continuity was confirmed to the rear accessory section and valve action was observed on all 6 cylinders. Thumb compression and suction were observed on all cylinders. The fuel lines leading from the engine driven fuel pump to the fuel servo and from the fuel servo to the flow divider, the flow divider valve and lines to the fuel nozzles, were absent of fuel. All 6 fuel nozzles were clear of debris and unobstructed. Neither of the two magnetos produced spark when rotated. According to the pilot, the accident flight was the third flight of the day. There were no issues noted with the airplane on the first two legs. The first was from ORL to Jacksonville Executive Airport at Craig (CRG), Jacksonville, Florida. The airplane was fully fueled at CRG, and he estimated that during the return flight to ORL, about 15 gallons of fuel was used from the right wing tip fuel tank. He recalled switching to the left wing tip fuel tank before departing on the accident flight. About 5 minutes after takeoff, while in cruise flight at 1,500 feet mean sea level (msl), the pilot began a climb to 4,500 feet msl. About 2 minutes later, he heard a "popping" sound from the engine. The pilot contacted the ORL air traffic control tower and stated "…I'm having engine trouble, need to return immediately." About 30 seconds later, he advised "I'm losing engine power, I may have to ditch." The pilot stated that initially the engine sustained a partial power loss, and he performed the "engine power loss in flight" checklist, but he was unable to diagnose the problem. The engine lost complete power shortly thereafter. A witness who was located about one-half mile east of the accident site reported hearing an aircraft fly over his house near the time of the accident. As it did, the engine initially sounded like it was "running smoothly, but at reduced power", and then stopped for about four or five seconds. The noise then resumed for several seconds, and again sounded like an engine running at reduced power, and then the noise stopped again. At no time did the engine sound like it was "sputtering or surging." According to FAA records, the pilot's last FAA third-class medical certificate was issued on February 25, 2016, at which time he reported 275 hours of flight experience. The airplane was recovered to a secure facility where a post-accident examination was conducted by an FAA inspector and representatives from the airframe and engine manufacturers. Flight control continuity was confirmed from the cockpit controls through recovery cuts to their respective control surfaces, with the exception of the left aileron, which was continuous through one overload fracture at the aileron input rod end at the bellcrank. The left wing was found separated from the fuselage at the root end and exhibited leading edge damage and skin separations along the entire span. The left fuel tank was breached and absent of fuel. The left tip fuel tank was separated from the wing and was not recovered. The right wing was largely undamaged and remained attached to the fuselage, and was subsequently removed by recovery personnel for transport. About 25 gallons of fuel were recovered from the right main wing tank. 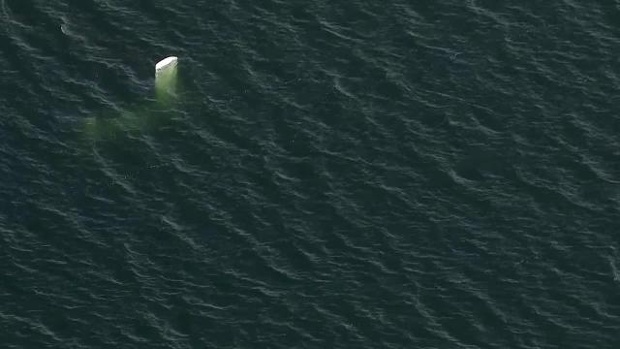 According to recovery personnel, water poured from the right tip tank quick-drain during recovery. The three recovered fuel caps (left main, right main, right tip) were found secure with their vent valves in place. The three corresponding fuel pickup screens were free of debris and clear of obstruction when checked with low pressure air. The fuel selector valve was out of detent, between the right main and right tip tank positions. The engine and nose gear were partially separated from the firewall. Both propeller blades were bent slightly aft at mid span. The engine crankshaft was rotated by hand at the propeller. Crankshaft continuity was confirmed to the rear accessory section and valve action was observed on all 6 cylinders. Thumb compression and suction were observed on all cylinders. The fuel lines leading from the engine driven fuel pump to the fuel servo and from the fuel servo to the flow divider, the flow divider valve and lines to the fuel nozzles, were absent of liquid. All 6 fuel nozzles were clear of debris and unobstructed. Neither of the two magnetos produced spark when rotated. The fuel servo, both magnetos, electric fuel pump, and an engine monitor were retained for further examination.